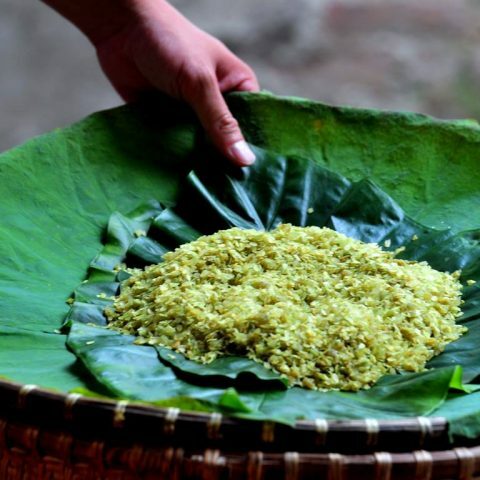 The batter of Banh Cuon is made by husking rice until smooth, then blending with water. 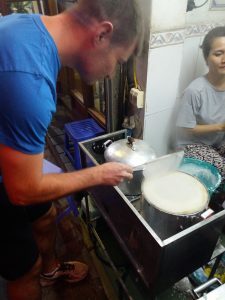 After being steamed on a linen steamer base, the thin sheet is take out at once and stuffed with marinated minced pork, stir-fried wood ear and golden brown dried onion dusted on top. 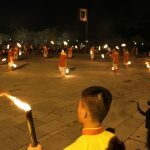 The rolling process can be quite similar to that of spring roll. 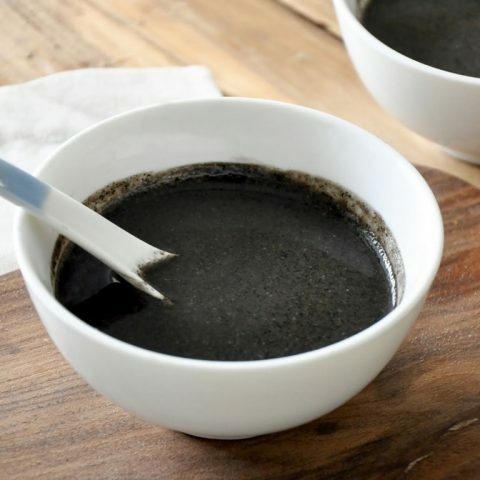 In addition to stuffing, dipped sauce also plays an essential role in creating a great flavor for the dish. Fish sauce is added sugar, lime or vinegar, minced chilly and garlic that forms a balance among salty, sweet, sour and spicy taste. 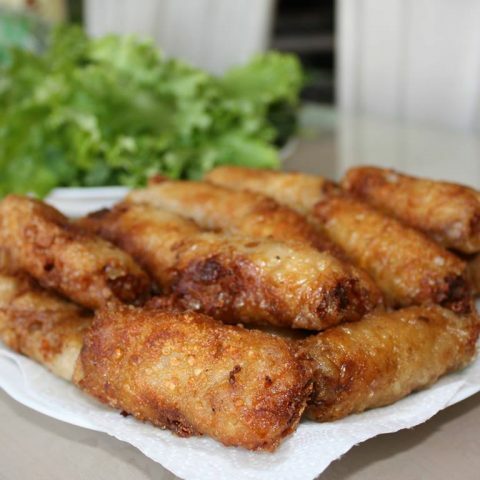 People often relish Banh Cuon with Vietnamese pork sausages or grilled pork and some local herbs as well. 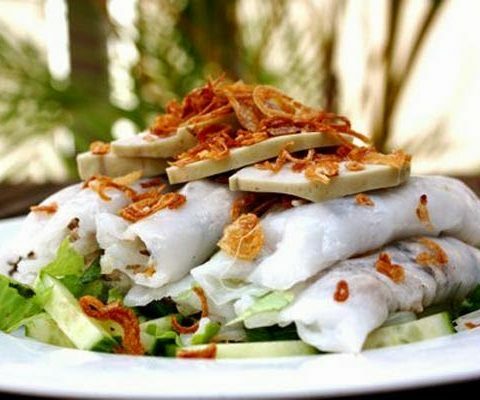 Today, there are serveral versions of Banh Cuon but the most famous of all is Banh Cuon Thanh Tri, which originates from Thanh Tri ward, Hoang Mai district, Hanoi. One special features of this version is that each roll does not contain any stuffing. 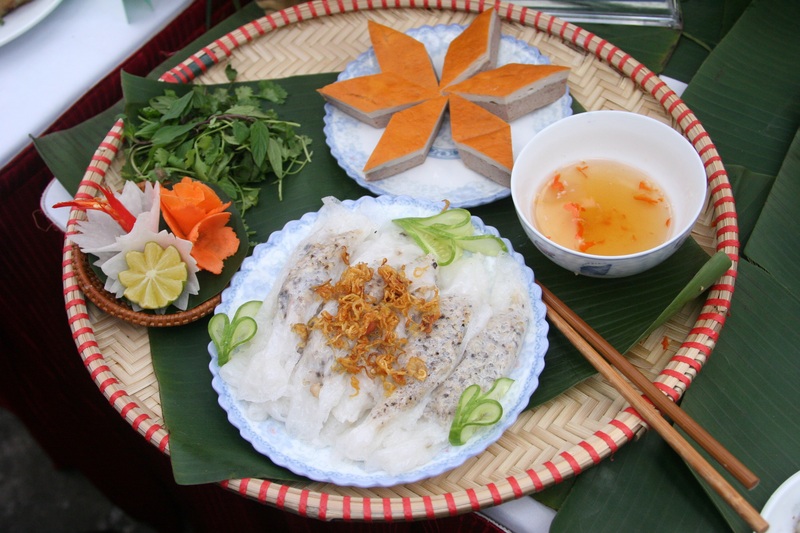 Paper-thin pancakes are folded layer by layer and put into a bamboo basket covered by lotus, banana or “dong” leaves. Once serving customers, sellers split each roll carefully in order to avoid tearing them apart. After putting sufficient proportion on a plate, they are cut in a half by a sharp pair of scissors. Next, each half of the pancake is put onto each other so people can see clearly each paper-thin layer. 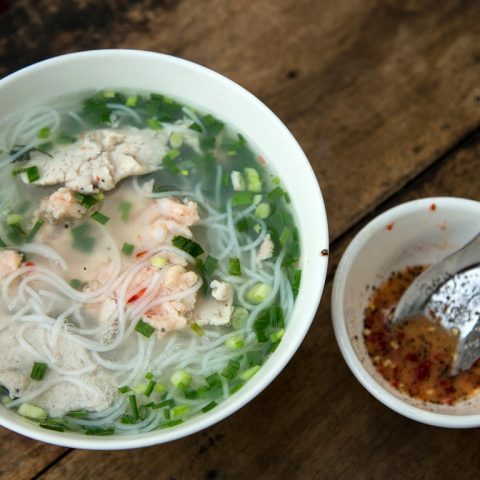 Banh Cuon reflects not only gastronomic but also Vietnamese cultural values. The most important ingredient of the pancake is rice and of the dipped sauce is fish sauce that are typical for our agricultural country. 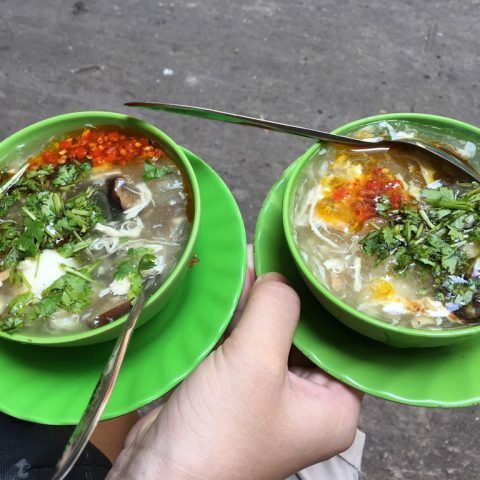 If you ever visit Hanoi, do remember to put in it your top list of must-try food.